Opinions of a Moody Mama: It's International Waffle Day!! Celebrate with Van's Frozen Waffles! It's International Waffle Day!! Celebrate with Van's Frozen Waffles! Waffle Day originated in Sweden. It is called Våffeldagen. The holiday coincides with the Feast of the Annunciation, which is also considered the start of spring in Sweden and Europe. It became a custom for Swedish families to celebrate the two events by making waffles on this day. I am celebrating today with a couple of Van's Whole Grain waffles! They are so delicious and super healthy as well. All of their waffles are now also Non-GMO Project verified! 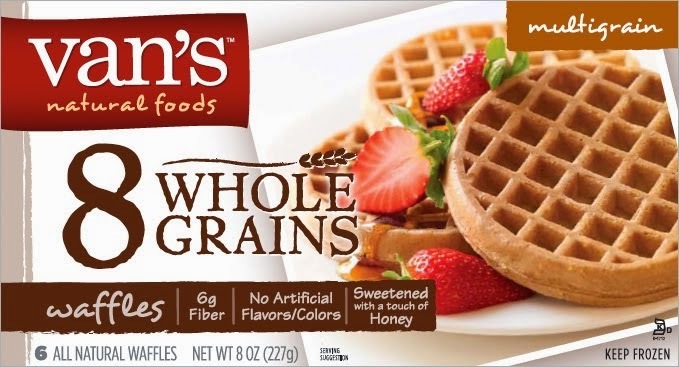 Along with Whole Grain, you can also find Gluten-Free and Heart Healthy waffles by Van's in the frozen food section of your grocery store. All of their waffles are loaded with nutrient-dense simple, delicious ingredients that families can feel good about eating. So tell me, how are you celebrating International Waffle Day today? Now Save Even More With Target REDcard!